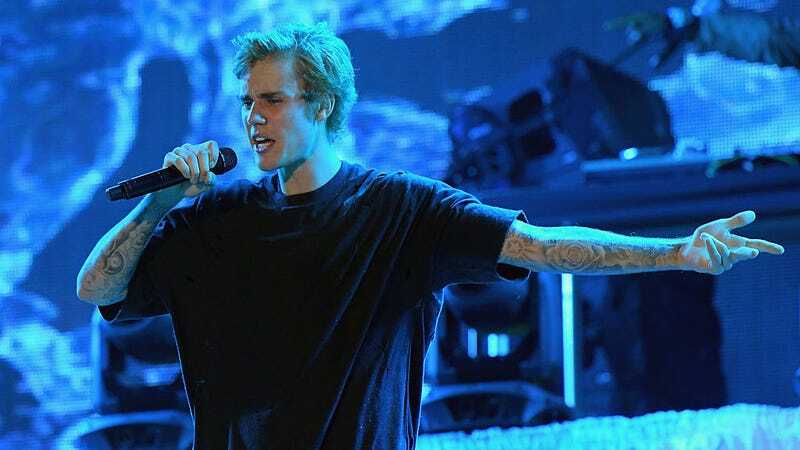 A new study from New York University finds that Justin Bieber’s “What Do You Mean” is pretty popular with people who score high on a psychopathy scale. The researchers then had the students listen to a wide range of songs and rate them on a seven-point scale. They looked for correlations between which songs were popular and the students’ psychopathy scores. And it turns out those with higher psychopathy scores liked Justin Bieber’s “What Do You Mean?” which makes sense considering it is basically the anthem for clingy ex-boyfriends who live exclusively in designer sweatpants. Eminem’s “Lose Yourself,” and Blackstreet’s “No Diggity” also scored pretty high. And songs like Dire Straits’ “Money for Nothing” and The Knack’s 1979 pop-rock hit, “My Sharona” were reportedly not popular with psychopaths. “The cliche is they [psychopaths] are all in prison, but they’re all over,” NYU psychology professor Pascal Wallisch told the paper. Hopefully knowing that they probably like Bieber will help us identify them!